Mele Fong, aka Ukulele Mele, is a professional singer, song arranger, and master of multiple strumming styles for the 'ukulele. 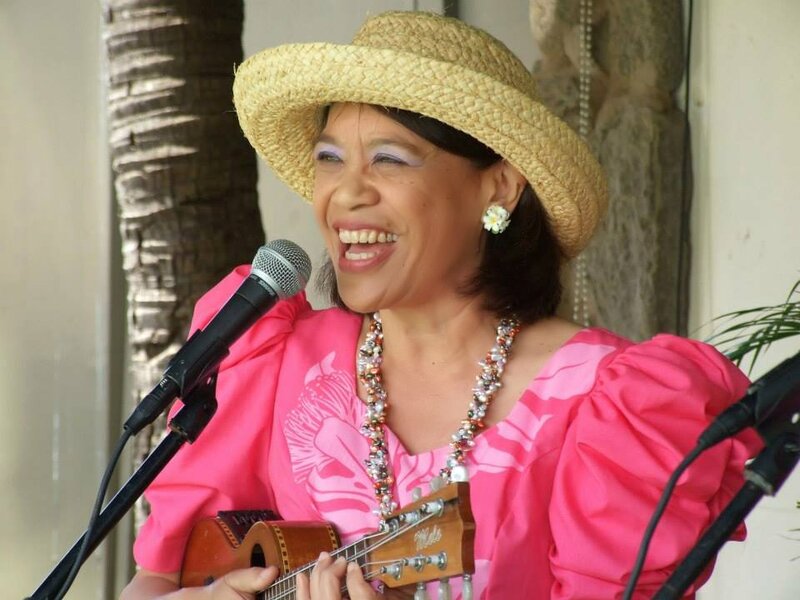 Mele plays 'ukulele, guitar, and piano, dances hula, and teaches Hawaiian history. She performs as a soloist, in the professional husband and wife duo, The Hawaiian Serenaders, and in the Maui Ukulele Jazz Trio. In 1996, the duo represented the State of Hawai'i during State Days at the John F. Kennedy Center for the Performing Arts in Washington, D.C. Mele and her husband Richard Tom reside in Maui. Biography: Born on Oahu of Hawaiian-Chinese ancestry, Mele graduated from The Kamehameha Schools in 1973, known for its college prep and music program for Native Hawaiian students. After 27 years of living and working on both coasts of the continental United States, Mele and her husband, also from Oahu, returned home to Hawaii in 2000. As the circle is completed, Mele returns to her first goal to use music as a therapeutic tool to help people enjoy life more. Education: Playing the piano since the age of 7, Mele entered the Conservatory of Music at the University of Pacific because of her piano audition. Mele studied music therapy, and graduated with a Bachelors Degree in Recreation, Youth Agency Administration. 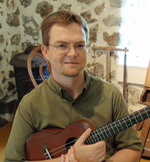 Teaching Experience: In January 2009, Mele saw the need for formalized 'ukulele instruction where adults would have fun and learn to be better 'ukulele players at Kaunoa Senior Center in Maui. Mele wanted to challenge retirees to expand their horizons, set higher expectations, and do more than they thought they were capable of doing. Thus, Mele developed a music education and 'ukulele curriculum to fulfill that need for adult lifelong learning. 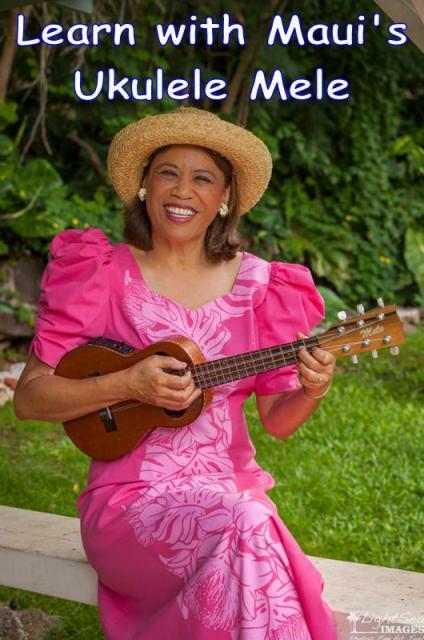 In July 2011, Ukulele Mele On Maui was born and this website launched later in November in response to students' encouragement to reach a global audience. Read the business history of Ukulele Mele. Learn what makes the "Ukulele Mele Way" unique"
1. Institute of Hawaiian Music - Mele mentors students in the University of Hawaii Maui College program since 2012. 2. Ukulele Explosion - Mele teaches and performs at this annual public event at Kalama Intermediate School since 2012. 3. Hawaiian Steel Guitar Festival - Mele teaches at this annual 3-day event at Ka'anapali Beach Hotel since 2012. 4. University of Hawaii Statewide Cultural Extension Program - The Hawaiian Serenaders are listed artists since 2008. 1. Maui Ukulele Pops Band – comprised of students from Mele's Advanced Ukulele class at Kaunoa Senior Center, The Band has performed in the community since 2009. 2. Maui Ukulele Jazz Trio – joined by Mele's master student, The Trio has performed jazz and other difficult songs from 2011-2017. 3. The Hawaiian Serenaders – our professional husband-wife duo on 'ukulele and 'u-bass specializes in nostalgic Hawaiian and hapa haole favorites from the Boat Days era of Hawaii Calls (1930’s) and beyond. 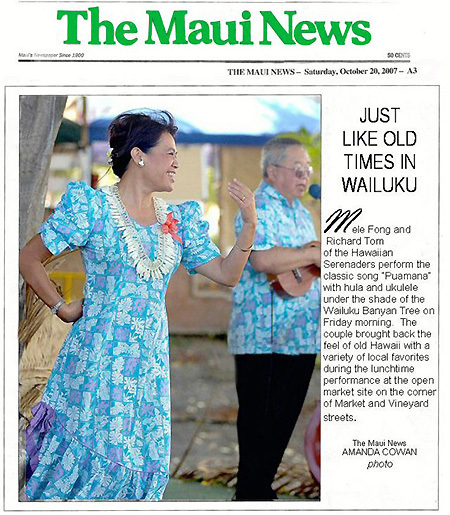 The Serenaders have performed themed shows since 1994 in Washington, D.C. including the "History of Hawai'i Through Music" where Mele danced hula as Rich played 'ukulele and sang. The duo continues to entertain audiences at public and private events. 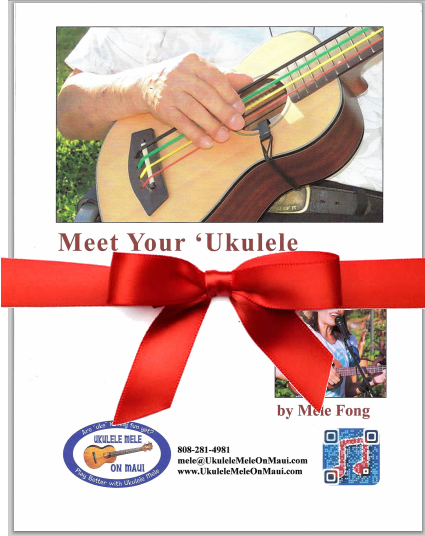 SIGN UP for monthly e-newsletter and get free 7-page "Meet Your 'Ukulele"
"It was a great night watching The Hawaiian Serenaders perform at Iao Theater on May 9. Mele and Richard bring their own style to well known Hawaiian and hapa haole favorites. And it's clear that this duo enjoys performing. Personally, it was a treat to hear the blues played on ukulele. What a wonderful instrument. I'm looking forward to hearing them play in the Ukulele Jazz Trio. As a new student (taking ukulele lessons at the Bailey House Museum weekly since March 9, 2012), I can see where Mele's teaching style comes from. Good form and a focus on rhythm make learning fun and easy. I was playing songs right away. Mele brings out the simple joy of playing music."